Finding a gi that’s both high quality and comfortable is pretty important to any BJJ practitioner. Unfortunately, finding one that fits your unique body shape can be a pretty tricky task. 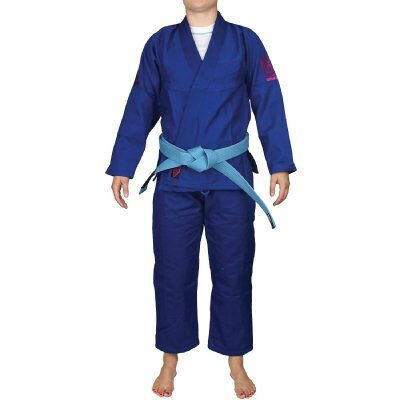 Although women can wear men’s gis, it helps to have a gi specifically designed to fit the body shape of a woman, as this will allow for unhindered mobility and a more comfortable fit. With that in mind, we’ve compiled a list of the best women’s BJJ gi’s currently available, hopefully allowing you to determine which is the right gi for you. What To Look For In A Gi? The weight is a pretty important factor to take into consideration when looking to purchase a BJJ gi. Lighter gi’s tend to be more popular for a number of reasons. Firstly, they are more comfortable and allow you to move slightly easier, plus in the summer months they’re a bit cooler than heavier weighing gis. Secondly, some Gi competitions require you to weigh in wearing the gi you’re going to compete in. If you’re near to your weight limit, a heavier gi means you may have to skip a meal the night before or have to try and cut a bit of weight. Both of these can have a negative effect on your performance, so should be avoided if you can. On the flip side of this, a heavier, thicker gi is a lot harder to grip than a lighter flimsy gi. This is especially true of the lapels, which are a key component of many techniques. If you can make them hard to grip, your opponent is going to have a much harder time, especially if they rely heavily on lapel based chokes. With all this in mind, it really is down to personal preference. I myself have a few different gis of different weights and thicknesses. 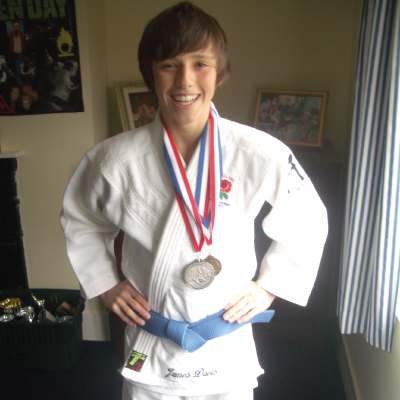 I use my lightweight gi’s to train and my heavier gi’s to compete, but that’s up to you. To be honest, the cut of the gi is pretty hard to tell until you manage to actually get it on yourself. You want something that fits your body shape nicely, with the sleeves coming down to your wrist and a comfortable tightness around the chest. A gi too baggy will be extremely easy to grab hold off and will provide your opponent with more to grip. 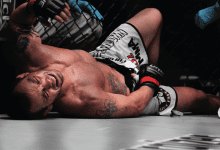 A gi to tight will make it uncomfortable to wear and can even hinder your ability to move. Before you buy a gi, make sure you measure yourself and compare your measurements with the gi’s size chart. Most martial arts have a ‘go to brand’ that people love. With Judo its Fighting Films, with boxing it’s Everlast, however with BJJ there’s just so much choice. Of course, you’ve got your big brands like Hayabusa and Venum, but you’ve also got a tonne of lesser known brands that actually produce some high quality gi’s. I myself tend to got with brands that I know and trust as I feel I’m much less likely to be disappointed and its much less of a risk. The sad truth is, some brands don’t offer BJJ Gi’s for women, so it is a good idea to research into a brand before you make a purchase and make sure they offer a gi that is going to fit you just right. Unlike some martial arts, BJJ gi’s come in all different styles and designs. Coming from a Judo background, where it’s pretty much just plain blue and white gis, I was shocked at some of the designs. What ever your style of choice, there's a tonne of different styles out there to match your personality. One thing to bear in mind with gi’s is that they tend to shrink when they’re first washed. Although most brands offer their gi’s ‘pre-shrunk’, if you look closely they will most likely say that the gi will shrink again. Typically, a gi will shrink about an inch when you first wash it. With this in mind, if can’t decide between two sizes, going for the bigger option is usually your best bet. The amount you pay for your Gi is going to tie pretty closely to its’ quality. That being said, there are a few other factors that effect the price. For example, the size of the gi, the weight and the brand can all have an effect on the price tag. Just be aware that if a gi seems to good to be true, it probably is. First up on our list of the best BJJ gi’s for women is the Fuji Women’s BJJ Gi. Fuji are well known in the martial arts industry and produce some of the highest quality equipment for BJJ, Judo, MMA and Karate. The Gi meets IBJJF standards (International Brazilian Jiu-Jitsu Federation), which of course is is incredibly important when looking for a gi. Fuji’s Women’s BJJ gi is the best of the best, both in terms of quality and in price. 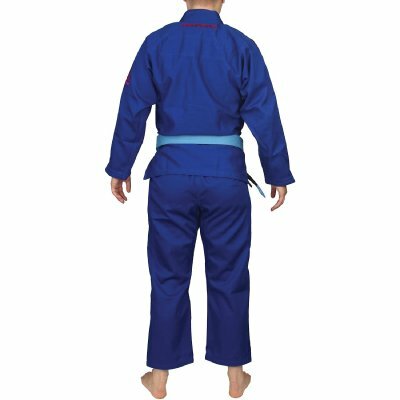 Made using 100% cotton material, the gi is incredibly long lasting. However, due to the cotton material used to construct the GI, it’s slightly on the heavy side. 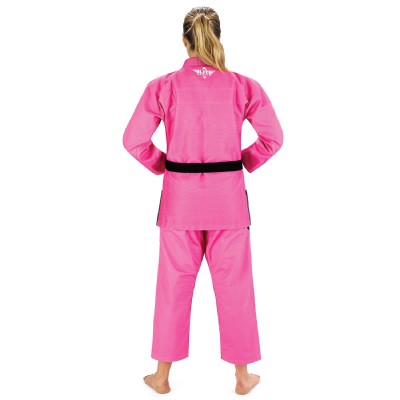 Fortunately, the arm and leg length are both fairly short, which helps to reduce the overall weight of the gi. This also provides your opponent with less material to grip, which should work to your advantage either when rolling or competing. The gi also features a breast cancer ribbon embodied at the bottom of the skirt, which is a really nice touch and is a great way to show your compassion and support for a really important cause. Due to the fact that it’s made using cotton, it’s fairly heavy. Next up we’ve got the Tatami Zero G V4, which is by far one of the best women’s BJJ gis currently available. 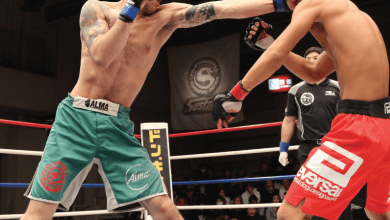 Tatami is a relatively new brand, only founded in 2009, yet has come to offer some of the highest quality martial arts gear around. Their Zero G V4 gi is no exception and has become one of the most popular choices of women’s BJJ gis. Available in both black and white color varations, the Tatami Gi sport a sleek, minimal design that many have come to deem one of the best women's BJJ gis. The Tatami Zero G features a competition fit design, which means that the Gi has been designed in a way that will provide you with as much of an advantage as possible, whilst still adhering to the IBJJF guidelines. For example, the gi features thick lapels, minimal extra fabric with both short sleeves and pants. As well as this the ‘Zero G’ branding has been placed on frequently gripped areas of the gi, which should in turn make it slightly harder for your opponents to establish a grip. The Gi is also extremely lightweight, which in turn means that you won’t have to worry about hitting the scales before the competition. The gi’s pants are also made using 100% cotton material and weigh roughly 9oz, which is actually surprisingly light all things considered. 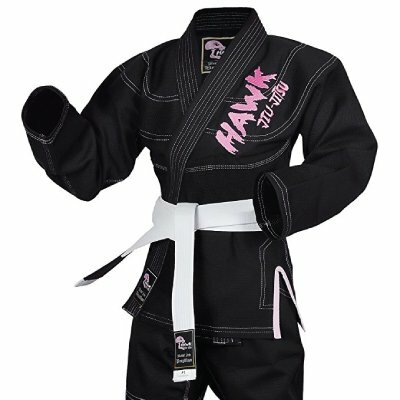 Next up we’ve got the Hawk ladies BJJ gi, which is available in black, blue, pink and white depending on your personal preference. Hawk offer some of the most affordable gi’s on the market and have a plethora gi’s to choose from. This is by far one of their best women’s BJJ gi’s and offers incredible value for money. 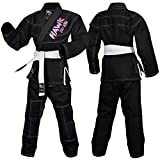 The Hawk Ladies BJJ gi is made using super durable and long lasting pearl wave fabric alongside triple stitched seems along all the major stress points. This insane durability of the gi makes it perfect for those of you who are training on a regular basis and need a gi that can withstand all those hours of rolling. The pants are made using cotton material and weigh around 10oz, which is slightly heavier than some of the other gi’s that we’ve discussed. 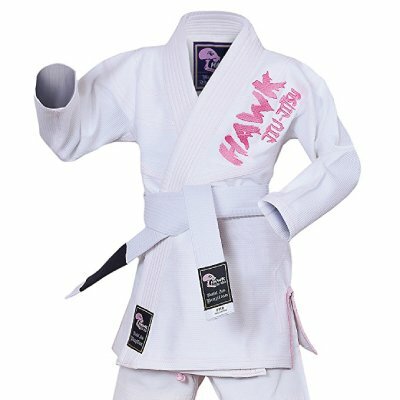 As you would expect, the Hawk Women’s BJJ Gi is IBJJF legal, meaning that its suitable for both training and competing. However, be aware that it is on the heavier side of things and could effect your weigh-in weight. One of the main reasons that this is one of the best women’s BJJ gi’s is it’s one year warranty. You don’t get that with very many gi’s, so it’s a really nice touch by Hawk throwing that in there. You also get a free white belt alongside the gi, which makes it a fantastic option for beginners as it saves you from having to buy your belt elsewhere as well as reducing your overall costs. Finally, the gi comes pre-shrunk, although expect it to shrink again by about an inch when your first wash it. FREE WHITE BELT: Our Women Jiu Jitsu Gi comes with a Free White Belt complete with black rank bar to put your tags on. Save time and money. Next on our list of the best BJJ gi’s for women is the Hypnotik Vortex. For those of you who don’t know, Hypnotik are a fairly well known manufacturer of a range of different martial arts equipment such as gis, rash guards and MMA gloves. All of which are built to the highest quality and designed to be as affordable as possible. The Vortex gi is available in 4 colors – white, burgundy, blue and black. Despite being one of the more expensive gi’s on our list, the Vortex is built to an exceptional standard and is a favourite amongst many female BJJ practitioners. With a GSM of 425 and the latest hi-tech weave, the Vortex gi finds the perfect balance between comfort and durability. Although not the lightest gi in the world, the material is far from heavy and is perfect for both training and competing situations. The gi features 10oz twill pants, that to be honest, are slightly are on the heavy side and are a bit baggier that some of the other pants our list. However, once you get the gi in the wash, the bagginess will reduce slightly. 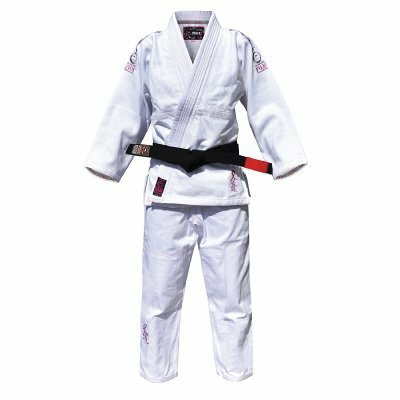 Alongside the women’s gi you also get a free white belt that makes it perfect for beginners looking to get their first gi and save a bit of money. I would recommend getting a size above what you would typically buy, as although the gi comes pre-shrunk, it does shrink a fair bit when you first wash it. Next up we’ve got the second TATAMI model on our list, this time the Nova MK4. As with most gi’s, the Nova MK4 is available in 4 colours options – black, blue, navy and white, which allows you to pick a gi that matches your color of preference. Similarly to some of the other gi’s we’ve discussed on our list, the Nova MK4 comes alongside a free white belt, making it an excellent choice for beginners. With a GSM of 425 and a high tech weave, the gi is decently thick yet wont overly weigh you down. It also features a rubberised collar that is designed to prevent sweat absorption and stop your gi from smelling. In terms of aesthetics, the Nova Mk4 is one of the nicest looking on our list. Featuring TATAMI branding on the arms and lapel, you’ll look the bee’s knees whilst on the mat. As with most TATAMI products, the price is fairly expensive however you can rest assured that you’ve made a worthy investment thanks to its long lasting build. You can read our full Tatami Nova MK4 review for a more in-depth analysis. Comes with Free White Belt! 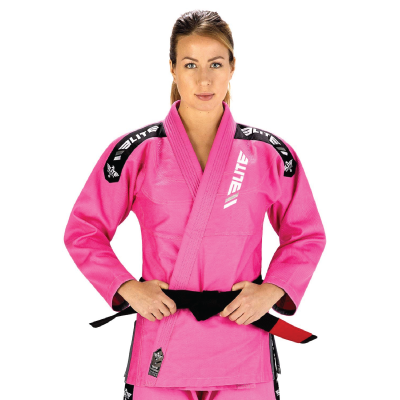 Next, we’ve got the Venum Challenger 2.0 women’s BJJ Gi. To be honest, I would have put this higher up our list however, it’s pretty expensive! 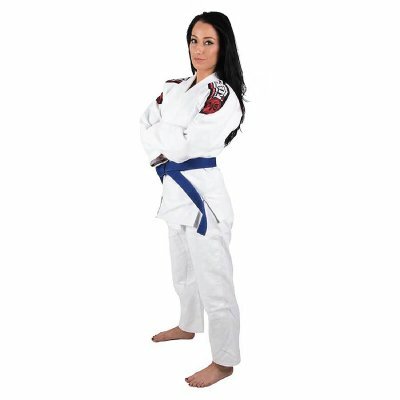 This is easily one of the best women’s BJJ gis and if you’re looking for a long lasting gi built to an exceptional standard, look no further. Venum worked alongside renowned BJJ competitor Luiza Monteiro to delver a well fitting, comfortable BJJ gi for women. 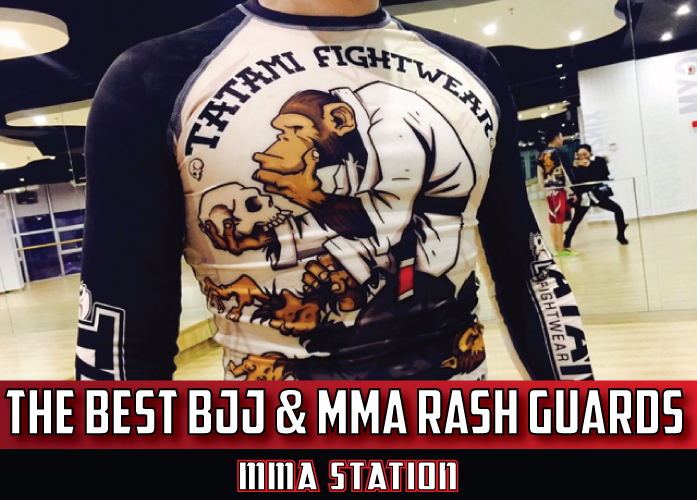 Its manufactured using 410 GSM, pearl weave cotton that’s incredibly durability and ensures the longevity of the gi. 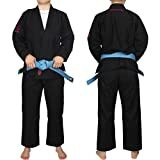 This is actually a fairly lightweight gi that’s perfect for training during the summer months and won’t add to much weight to the scales if you’re competing. The gi features cotton pants with knee reinforcement and is available in blue, white and black options. The crotch also possesses a triangle yoke that allows for maximum rage of movement. What’s more, all the stress areas of the gi feature reinforced stitching that keeps the gi lasting for years, no matter the amount of hours spent rolling on the mat. 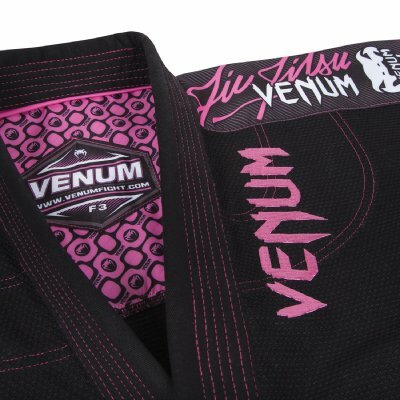 Although one of the most expensive items on our list, the Venum Challenger women’s gi is easily one of the best BJJ gis for women and comes highly recommended by us. Yet another incredible gi featured on our list by TATAMI. This is one of my all time favourite gi's and has everything you could possibly want - nice design, durable build and comfortable as hell. What makes this one of the best BJJ gis for women is the sheer quality TATAMI have produced here, using pearl weave material the gi is both lightweight and durable. Pearl weave has easily become the most popular form of fabric as it finds the perfect blend between toughness and comfort. Everything about this gi screams quality, from the innovative Y shapes back vent to the sublimated neck yoke, you'll both look and feel the part in this bad boy. As this is one of TATAMI's best gi's to date, it unfortunately is also one of their more expensive models. But at the end of the day, you get what you pay for, and what you get is one of the finest gi's currently on the market. This is just a short little overview of the Estilo 6, but if you want any more information, I would recommend checking our our full Tatami Estilo 6 BJJ Gi review for more details. Bear in mind though, we're reviewing the mens option that is just tapered slightly different to cater for the difference in body shape. If you're just starting out in BJJ, I would consider skipping this gi unless you're sure you'll be doing BJJ for a long time. There's no point investing a large sum of money on a durable gi, only to realise BJJ isn't for you a couple of weeks later. For first timers, I would recommend the Tatami Nova gi we discussed earlier. 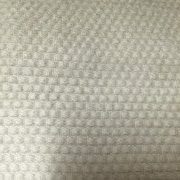 Incredibly high quality pearl weave material ensures longevity of the gi. Simple, yet beautiful design that's not 'in your face' like some other gi's. Expensive - not ideal for beginners. Doesn't come with a belt or a gi bag. Moving onto the final model on our list of the best BJJ gi for women, the Elite Sports Gi. Elite Sports are a fairly new company to hit the scene and have become well known for producing some top end gis that don't break the bank. The gi itself comes pre-shrunk, however do expect a small amount of shrinkage during its' first wash. That being said, pre-shrunk gi's are a dream and you can sleep easily knowing your gi will still fit once it's dry. What's more, the Elite Sports BJJ gi for women is IBJJF, meaning that it's competition worthy. The pearl weave material used to construct the kimono means that it is both lightweight, yet incredibly sturdy, again making this a fantastic option for competing. The pearl weave material also makes the gi a lot more comfortable to wear in warm conditions due to the fact that it's so lightweight. 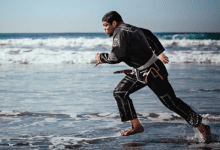 This also means that you can comfortably wear a rash guard underneath, which of course, a lot of BJJ practitioners do when training and/or competing. As with a lot of the gis on our list, the Elite Sports comes available in a number of different color variations and is suitable for both men and women 18 years old and up. If you're a beginner purchasing your first BJJ gi you'll be pleased to know that it comes alongside a free white belt, which can save you a few bucks buying one separately which is always good. Doesn't come with a gi bag. 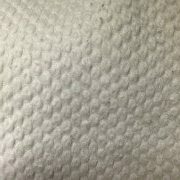 Should I Wash My Gi Before I Use It? Yes, I would recommend washing your gi before the first time you use it. The first time you wash your gi it should be washed on it’s own, but can be washed with other items of clothing after that. How Do I Was My Gi? It is usually recommended to wash your gi in cold water. Washing a gi in a hot wash can cause it to shrink, which could result in the gi no longer fitting. Similarly, always air dry your gi, never put it in the tumble dryer. Which Gi’s Are Better For Warm Weather? If you’re in a hot climate, or just going in to summer, finding a lightweight gi will be your best bet. For example, I would recommend the Venum Challenger gi as it has a fairly low GSM and is nice and thin. 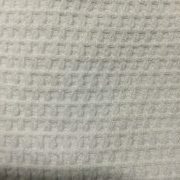 The first time you wash your gi, expect it to shrink by about 1 inch. This is fairly normal and most brands will say to expect some slight shrinking. With this in mind, it is sometimes a good idea to get a gi a size above your usual size in order to compensate for the shrinking. Should I Have More Than One Gi? This really depend ons on the number of times a week your train and whether or not you compete. If you’re training 3+ times a week it could be a good idea to have more than one key in order to stop your gi’s from building up odor. Similarly, it’s a good idea to have a gi solely for competing. This way it will say in the best possible condition. 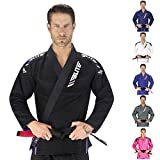 This is my First Gi, How Much Should I Spend? It is really up to you how much you should spend on your first gi. If you think you’re really going to love BJJ you can always get a higher end gi. Expect to pay $50 minimum for a gi. GSM is a measurement used to determine the weight of a fabric and is frequently used to describe the thickness of both Judo gis and BJJ gis. The lower the GSM the less the material will weigh. There’s a number of different brands that produce some of the best BJJ gi’s for women that I’ll list below. 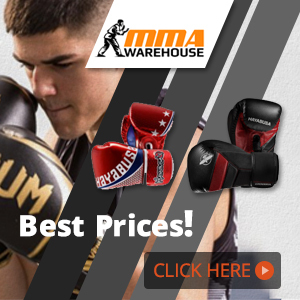 Venum are one of the most popular brands of martial arts equipment and are renowned for producing some of the best quality equipment on the market. Their BJJ equipment is the best of the best and although costing a pretty penny, is well worth the investment. Established in 2009, Tatami has quickly become one of the go to brands for all things martial arts. 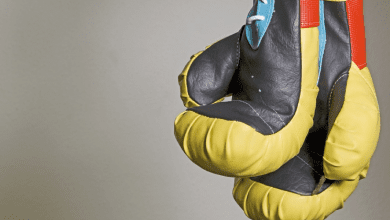 Whether you’re looking for the best BJJ gi for women, or the best MMA gloves, or the best mats for your home Dojo, Tatami has you covered. When you're shopping around for a women's BJJ Gi, you'll come across gi's with different weaves. We're going to quickly break down some of the most popular types of weaves, hopefully giving you a bit of an idea what to look for. But first, what exactly is a weave? A weave is the way in which the material used to construct the gi is sewn together in order to create a single layer of fabric. If you look closely at a BJJ gi, you'll see a pattern, which indicates the type of weave used to construct the gi. Single weave BJJ gi's are probably the most comm due to the fact they tend to be both the cheapest and the lightest. Single weave gi's are ideal for training in the summer months due to the fact they're much lighter than other gi's and are therefore more comfortable. On the other hand, they tend to wear down quicker due to the fact they are so thin and the stitching is so loose. This is essentially double the amount of weaves as a single weave, meaning they are twice as thick, and often twice as durable. The thicker material tends to be far more durable than single weaves gi's, making them a better option for long term BJJ practitioners. Due to the fact they're fairly thick, they tend to weigh more, which can add to your weight if you're looking to compete. Gold weave was the go-to type of BJJ for competitions back in the day. It's essentially a mix between a single and double weave, utilising the durable design of the double, alongside the thin, flexible material of the single. 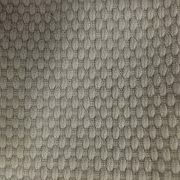 While this is still a popular choice for competitions, pearl weave which we are about to discuss takes the cake. This is the lightest type weave that is allowed in competitive BJJ. Despite being lightweight in design, this is also one of the most durable type of weave due to the fact the fabric is sewn so tightly together. This tight sewing creates small bumps, often in pearl shapes - hence the name pearl weave. In terms of price, they are fairly modest and tend to last a bit longer than single weave gi's. We’ve made it to the end of our list of the best Jiu Jitsu gis for women. I hope that you’ve found it useful and if you have some questions please feel free to ask them below. Featured image courtesy of MyBJJ, adapted by MMA Station. Product images courtesy of Amazon.com.